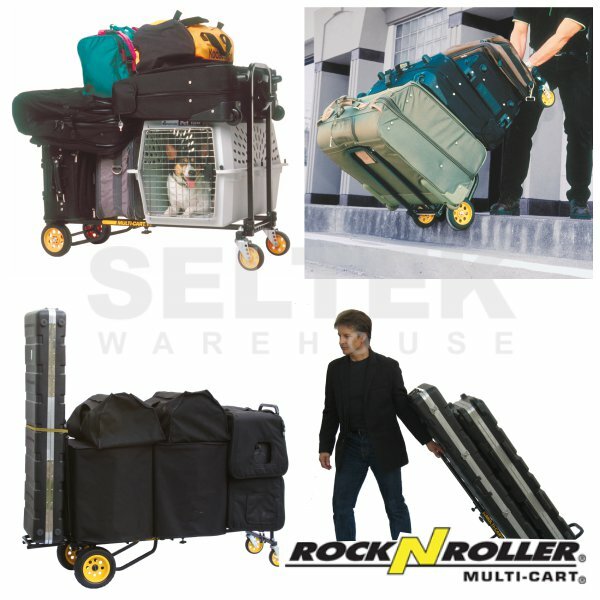 RockNRoller Multi-Cart trolleys are lightweight, compact and collapsible 8-in-1 equipment transporters with double folding handles and an extendable bed frame. 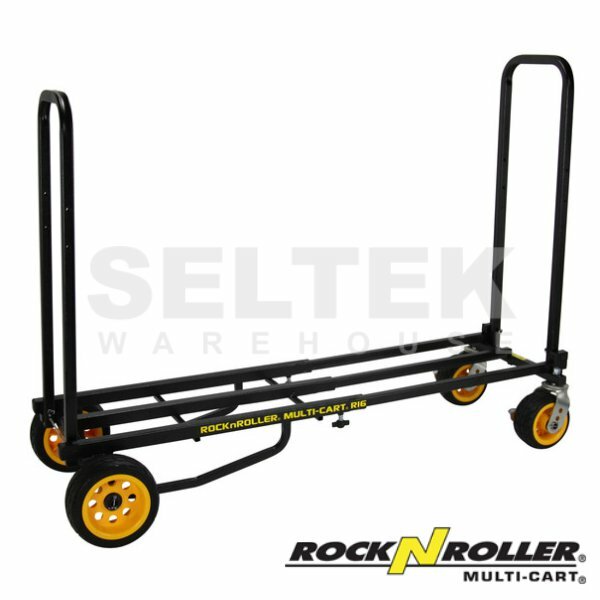 The multifunctional feature means they can be quickly and easily transformed into any of eight different configurations to suit various load sizes and shapes. They are very popular in the music and film industries. The R-Trac rugged no-flat wheels combine the advantages of pneumatic and solid wheels. 30% lighter than pneumatic wheels and features soft cushion ride, low rolling resistance, high-strength polymer hub and polyurethane foam tyre. 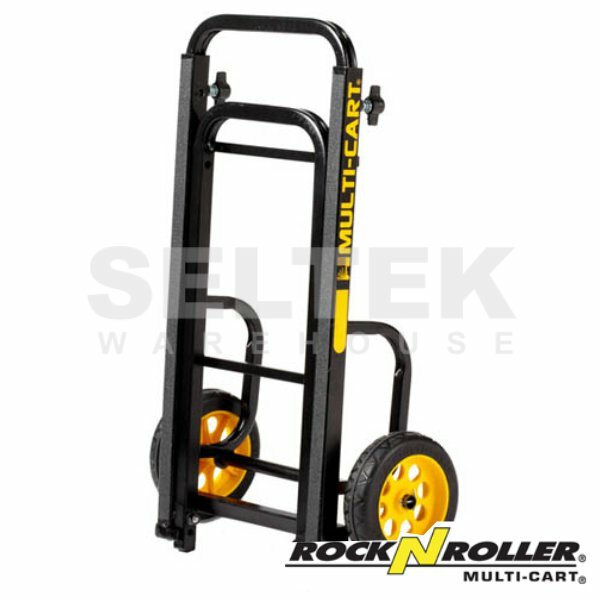 The RockNRoller Multi-Cart models are: LM-RMH1 (Mini Hand Truck), LM-R2RT (Micro), LM-R6RT (Mini), LM-R8RT (Mid), LM-R10RT (Max), LM-R12RT (All Terrain), LM-R14RT (Mega) and the LM-R16RT (Ground Glider Max). They are ideal for office environments, travelling, warehouse & storage, the entertainment industry, HVAC contracting, scientific/field study/research logistics, delivery vans, film & video production. 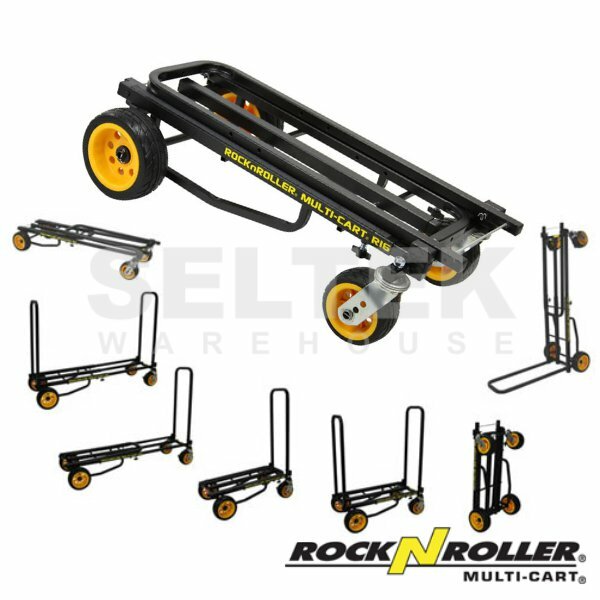 The RockNRoller Multi-Cart LM-R12RT is supplied with large wheels designed to navigate just about any terrain, including gravel, grass, or other uneven surfaces with ease. 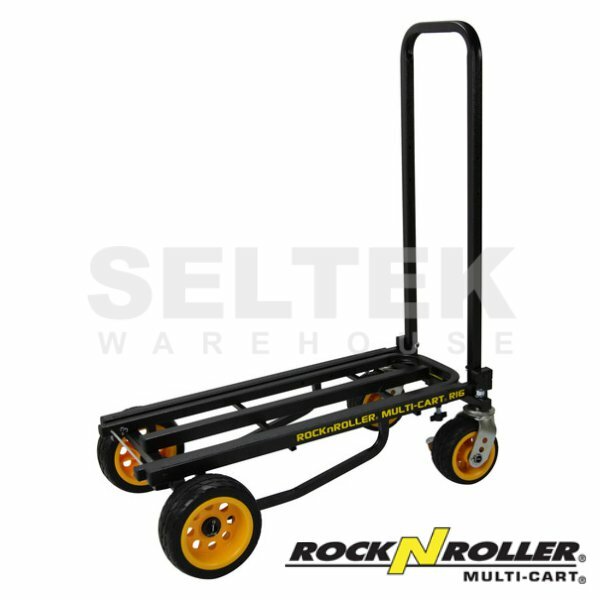 The RockNRoller Multi-Cart trolleys feature a non-skid surface on the frame to prevent loads slipping as well as stairclimbers to ease loads over curbs and steps. 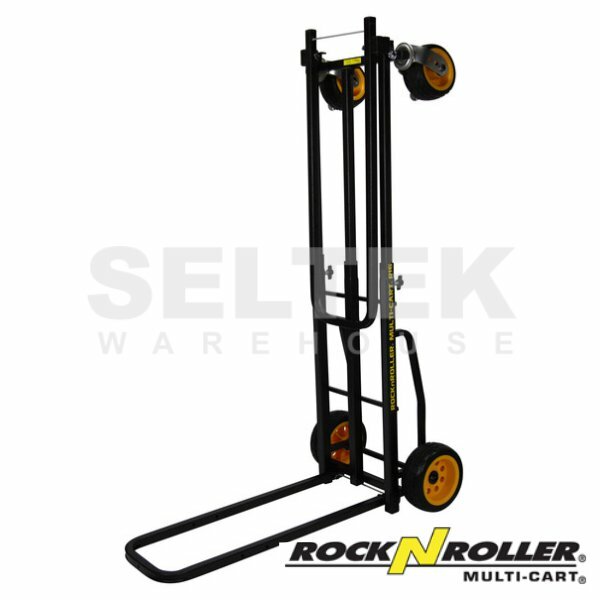 The RockNRoller Multi-Cart RMH1 stands alone as a collapsible hand truck with a folding nose and an extending telescopic handle. 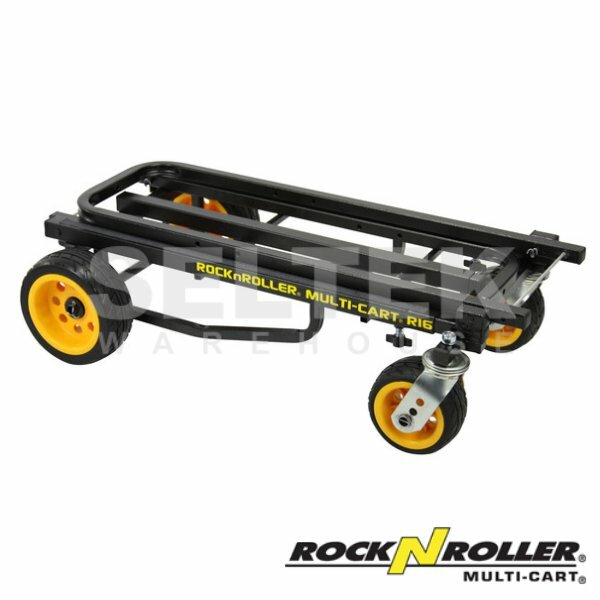 The RockNRoller Multi-Cart LM-R16RT is supplied with extra wide front castors - 50% wider than typical castors. The swivel castors are fitted with brakes as standard.